Gift Giving is a wonderful ritual to show gratitude and appreciation for the special beings in our lives. 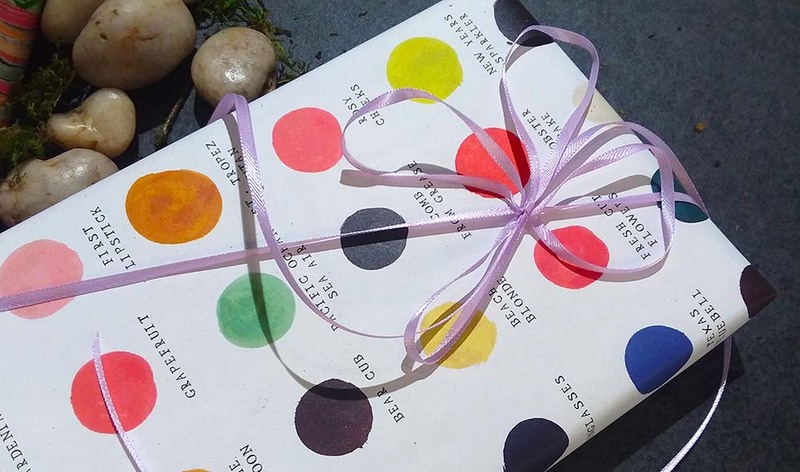 Gift giving like a designer means adding luxury, creativity and personal touches that connect and delight the recipient. It’s my business to explore the retail environment to discover good design, artful things and unique objects to have and to hold. 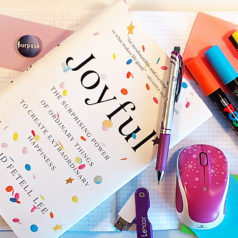 Check out my 2018 list of curated items guaranteed to elevate your gifting status and keep you connected to the ones you love. I’ll also share wrapping touches that make your gifting personal and memorable. We all have that enterprising and ambitious someone in our lives who is working on several projects at once and hard to catch for a coffee date. 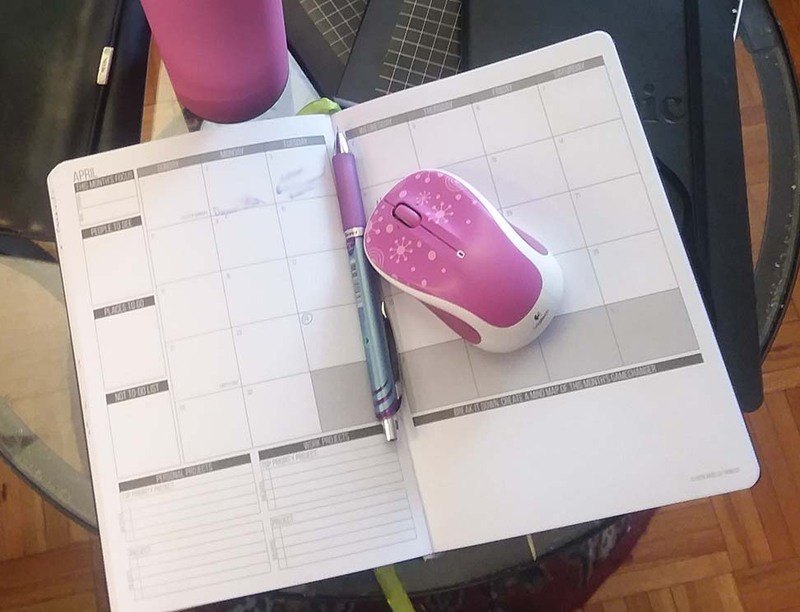 In 2018 I found the perfect planner to help me think “Big Picture” and break it down into scheduled actions. Angelia Trinidad created the Passion Planner after graduating from college in 2012 to help simplify her life and focus on what matters. The planner has built in mind mapping space for thinking long-term as well as grid and sketchbook paper, making it easy to brainstorm/ design on the go. Giving Passion Planner has exponential gifting pleasure because when you buy one, another is gifted to someone in need. Thank the stars for the friend who throws the BEST parties! Thanks to them, you have a circle of friends to mastermind your life. 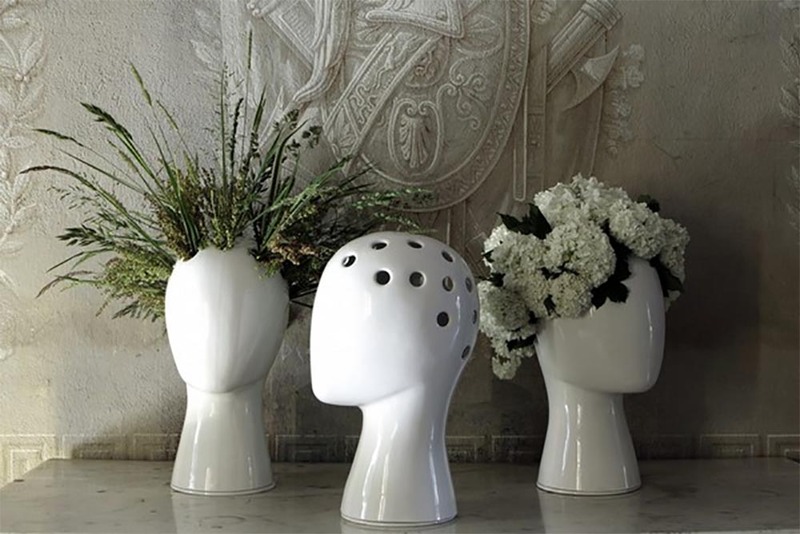 Give your coveted connector a centerpiece to keep the conversations going with this arty, fashionably surrealist Mannequin Head Vase. 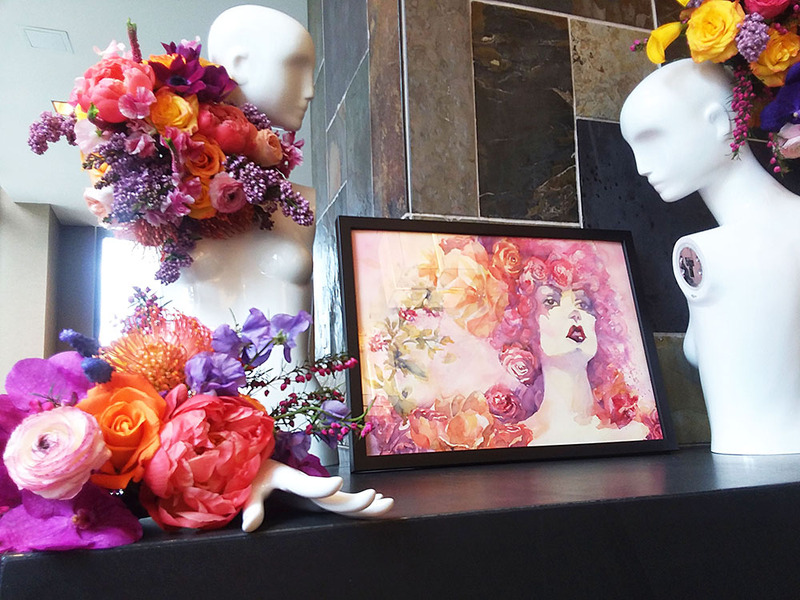 In 2017 I collaborated with BFloal NYC to craft an fashion inspired event space combining their floral design talent and my penchant for mannequins in retail display. This vase inspired one of my favorite collaborations to date! 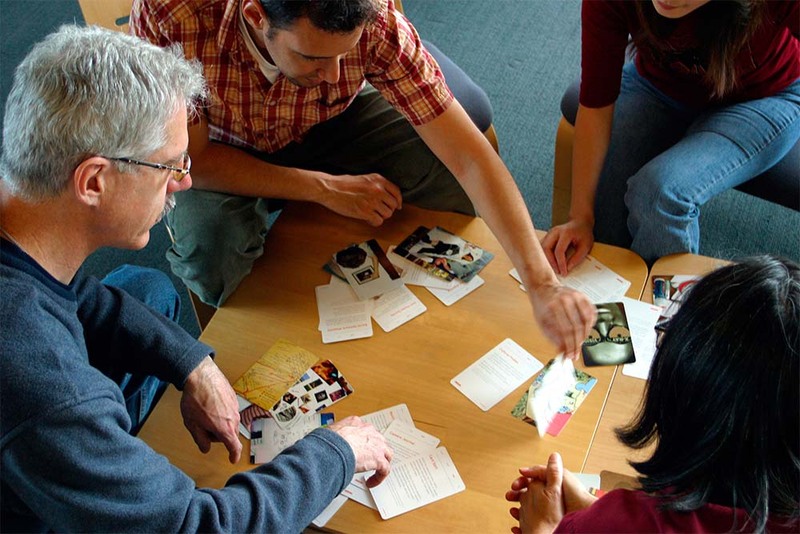 Game night hosts, department managers and team builders can turn solving problems into a game with Method Cards designed by executives at IDEO. Play for design thinkers, the global consultancy created this deck of 51 cards so that its staff and clients can have fun while discovering inspiring design solutions. 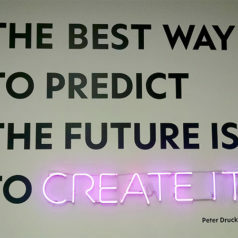 I learned design thinking techniques at The Design Gym over the years, they host monthly “Think and Drink” Meetups as a social mixer. Games like this are a great way to make friends, stay creative and have fun. 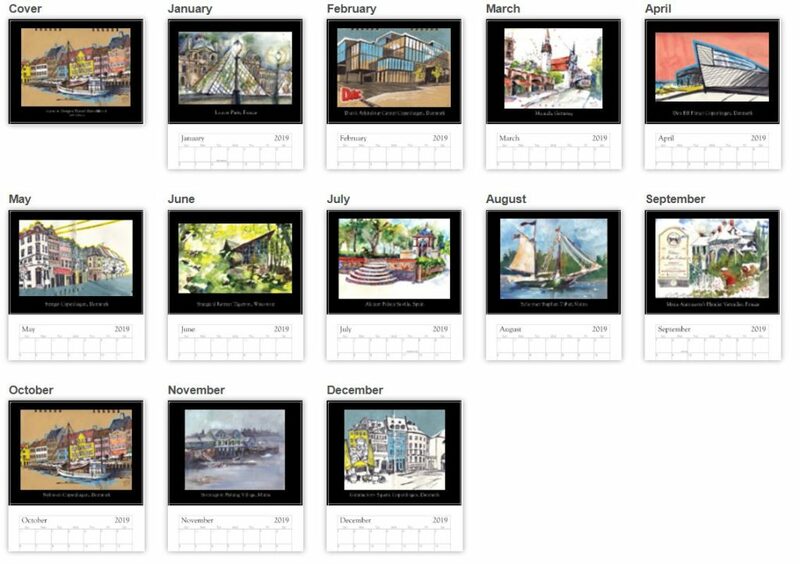 Whether an architect, diplomat or art collector, your frequent flyer could use a wall calendar to keep important departure dates in mind. 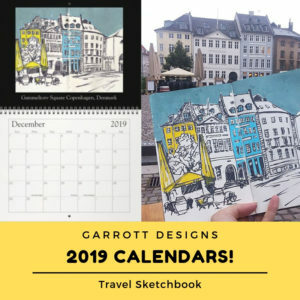 My 2019 Travel Sketchbook calendar is the perfect gift for business class and urban sketchers alike. 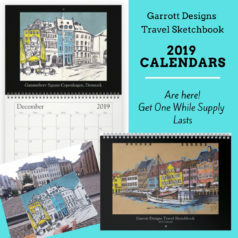 Available for a limited time at the Garrott Designs Shop and also on Etsy. There is always a better way to do things in the kitchen. Clever gadgets that do more than one thing and make clean up a snap get my attention. 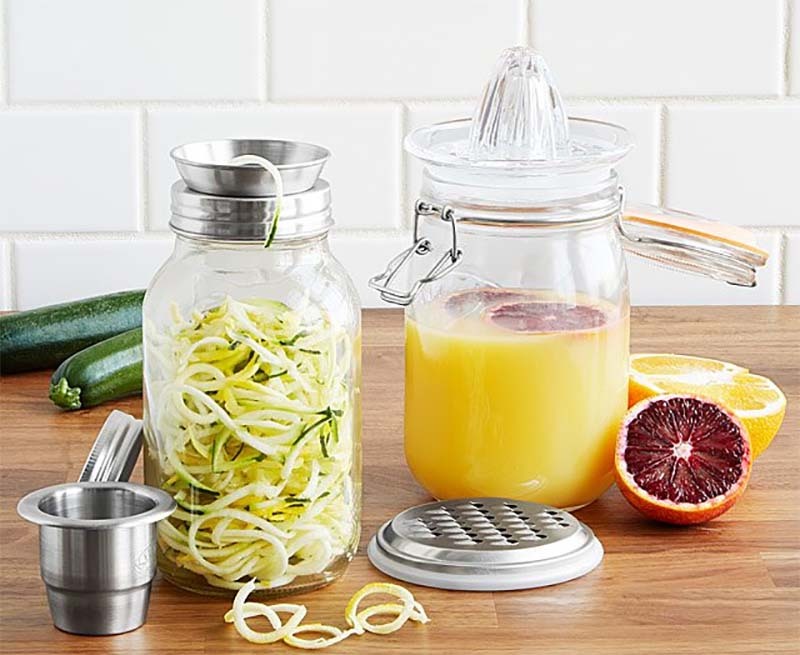 These Multi-Tool Mason Jars have utility tops to help grate cheese, spiral vegetables and juice fresh fruits. Making prep and storage one seamless step is great design! We could all use a little something for our health and well-being. For the naturalist near and dear to you, only the best most pure extractions will do. DoTERRA essential oils have staved off crude office colds, brain fog, bad moods and muscle soreness for me since my cousin gifted them two years ago. I recommend On Guard and Oregano for frequent immune boost, Deep Blue for athletic fatigue/ muscle soreness and Digest-Zen for stomach discomfort. 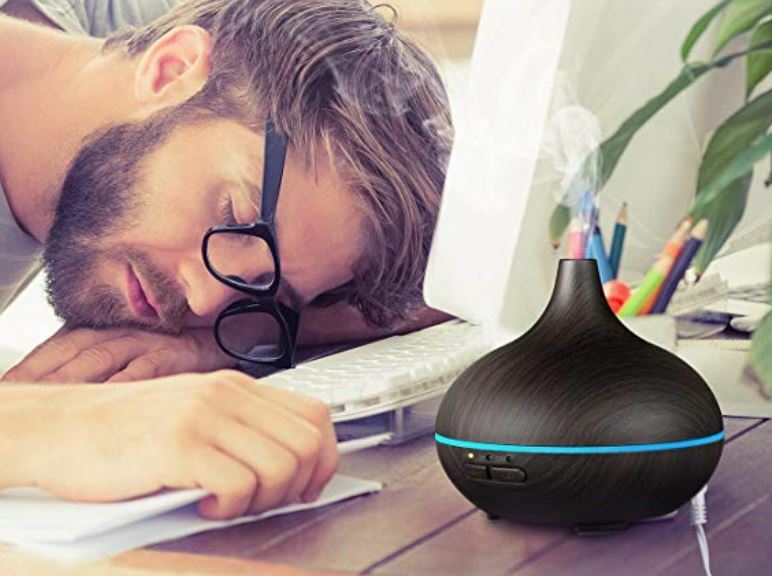 My favorite studio diffuser is available on Amazon. Digital animators and special effects designers in the movie industry have brought to life historic and fantastic beasts for our viewing pleasure. 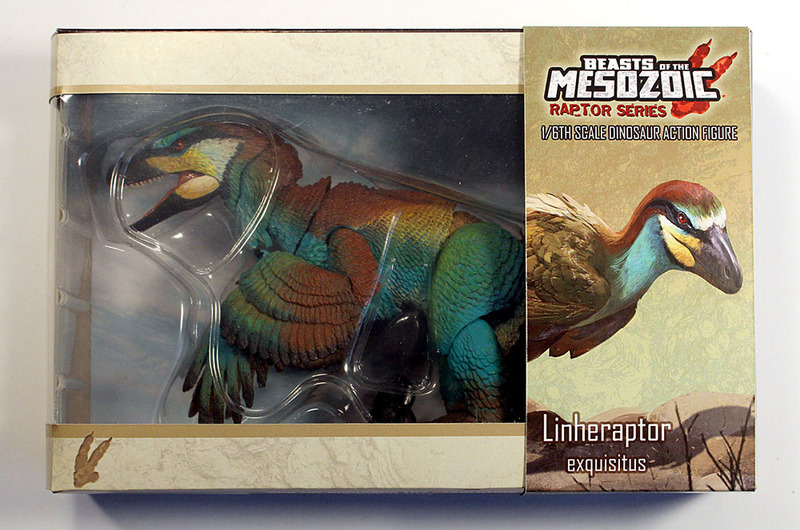 Creative Beast Studio has merged science with film & entertainment to create an action figure toy line for adult collectors. 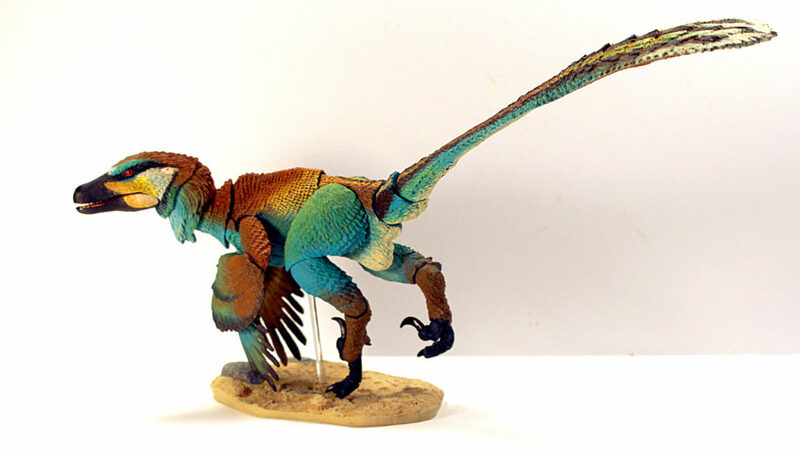 Beasts of the Mesozoic is the only accurate to current scientific discovery dinosaur action figure toy line that is hand sculpted. While these action figures delight children alike, they make a great addition to a collector’s decor. Give the Techie in your life something big to decode. Lucie Greene, Author and Futurist at J. Walter Thompson offers up a cautionary perspective on big tech, politics and the problem of accelerated progress in her new book “Silcon States“. Mine is filled with purple pen highlights. 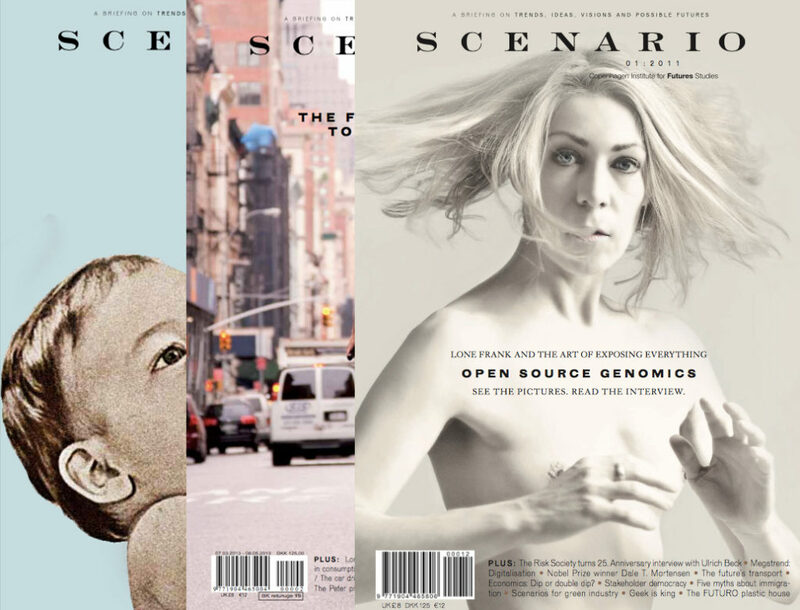 Newspaper subscriptions pale in comparison to futures news in the form of SCENARIO Magazine from the Copenhagen Institute for Futures Studies. SCENARIO is read by progressive people with a high degree of decision-making competence in their professional lives. The magazine presents trends, ideas, visions and tendencies that are worth keeping an eye on. Where regular news ceases to be inspiring, this quarterly magazine inspires thought provoking potential futures. The magazine’s ambition and success criterion is to challenge assumptions, inspire, and provoke change. Gift wrapping is the final touch that delights the recipient immediately, so make it special and personal. There are lots of ideas for getting creative with gift wrapping, just check Pinterest. However, you’re personal “brand” matters, so why not customize the wrapping? Design with doodles or a logo on wrapping paper at spoonflower.com or customize with photos at zazzle.com. For a fun and quirky touch, I like to wrap gifts in city maps from places I travel or New York City Subway maps for family back home. 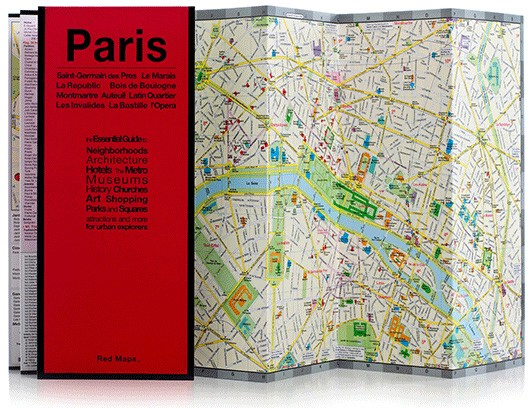 Maps are free and big enough to wrap most things. Think more creatively about the gifts you give and the way you give them. You’ll be the hit of the party and the holiday season by gifting like a designer. Wishing you and yours a very happy and well designed holiday season! 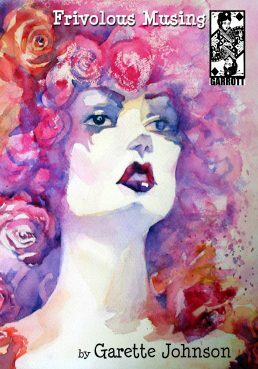 If you’d like to receive more ideas like this to your InBox, subscribe to the Newsletter in the footer below.